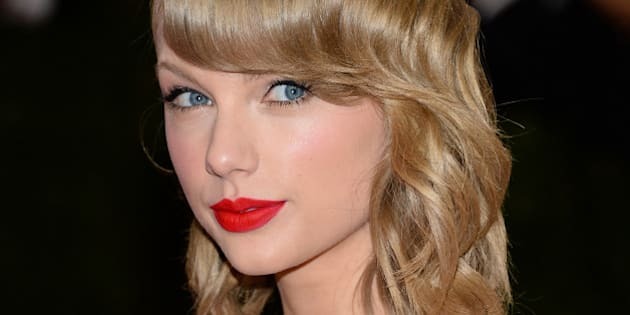 Earlier this week, Taylor Swift revealed the truth behind her signature red lips. When asked by People magazine how many red lipsticks she actually owned, she replied, "I don't have an excessive amount! I just find one I like and use it." (And for those of you wondering, her current go to is Dragon Girl by NARS.) And it's no secret that she loves red -- it's even the title of her current album. The singer also revealed that she likes trying new things and experimenting with different beauty looks, except when it comes to her lips; rarely does the leggy blond stray from red lipstick. "I guess I just think my face looks worse without it. That's pretty much the only rationale behind it," said the star. And though we love T.Swift's love for red lipstick -- if it ain't broke, don't fix it, right? -- we'd just like to point out that her face would look just as lovely with a bright pink, or even bold orange lip, don't you think? So, in honour of the "Trouble" singer's infatuation with lipstick, we're taking a look at some of her best lipstick moments -- and yes, there are a few different shades in there! Have a look below and let us know which colour you like best.